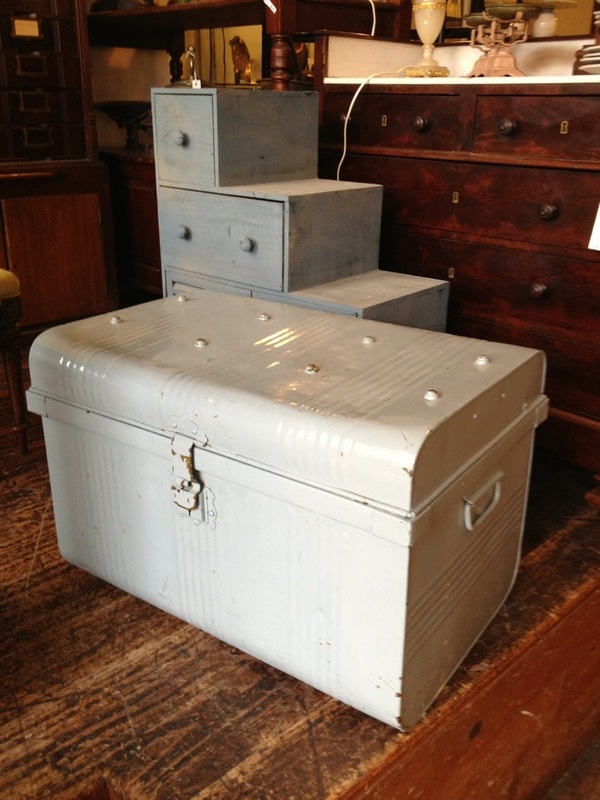 A late Victorian travelling trunk or railway trunk in steel. A very clean pristine even, interior. The colour is a more recent touch and more of a sky blue grey than this photograph suggests. $127. These 100 year old items have become increasingly popular.